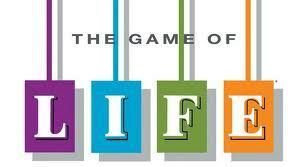 Play the game of Life, to not win or lose, but to enjoy! Winning in Life is not about how much you made or what you got, but, simply, is about how well and peacefully you played! It is fantastic to win. To compete. To work hard. To want to get all that you want! To be on top of the world and to celebrate your conquest of hitherto uncharted waters. But it is also important you play. And just play. And play to enjoy the playing than wanting only the winning. This I say from a Life attitude point of view. Several of us have a ‘winning obsession’. Nothing wrong with it. Without wanting to win, there can be no discoveries, no conquests, no progress and no excellence. Yet know also that Life may always not be fair. What if, despite your best effort and intent, your Life doesn’t fit into any logical framework? You have no idea of what’s happening to you and how you are going to handle it. How would you classify winning in such a scenario? When WHATEVER you try, how much ever you try, Life keeps plucking away from your hand? In Life you can keep asking these questions, including others like ‘Why (only) Me?’ or ‘Why now?’. But there are no immediate answers. Your measure of success, financially, socially, physically, is always disproportionate to both your effort and intent. This is the harsh reality. Which is, the harder you work, the more ethical you work, the lesser you get rewarded in proportion! Yet you must play on. Remember, you DON’T have the option of quitting the game. Because quitting is easy. It is simply conceding defeat. It is in the playing, staying on, fighting every single day, getting better, not BITTER, with Life, that there is the winning, in this game of Life! The world may define success as performance on parameters that are ‘visible’ and measurable __ the most easily available metric being money. You will be encouraged, actually coerced, to believe that success is only equated with how much you have in the bank, what is your credit-worthiness and what is the ‘method’ you employed to get rich? But true wealth is your rich experience of having lived a full__irrespective of your circumstance__Life. Real success is not giving up and being positive and being present when Life is happening to you. I don’t know what you think. Or which side of Life you are on. But what I can tell you, and what you may want to tell your kids, is that Life will come at you, despite your best effort and intent, not to see you winning with riches and rewards, but to teach you how to win when all you have is a crown of thorns and a cross to bear! Winning then is just being present. Just being. When you are just being, you are refusing to lose. And know that we cannot quit the game, because while giving in is an option (giving in = loving what IS!) in Life, giving up is not! We may depart some day, as all of us will, but it must not be because we quit the arena. But because we were called back by Life! Here’s an old Tao story on an archer’s obsession, his desire, to win! And there’s a great learning there for all of us too. Author AVIS ViswanathanPosted on December 30, 2012 March 14, 2016 Categories Archer, Art of Living, Game of Life, Intelligent Living, Losing, Peace, Performance, Success, Winning, Winning ObsessionLeave a comment on Play the game of Life, to not win or lose, but to enjoy!